Delhi will have to treat each IPL game as a virtual knockout, starting with their clash against Rajasthan Royals at the Feroz Shah Kotla, Delhi, on Wednesday. 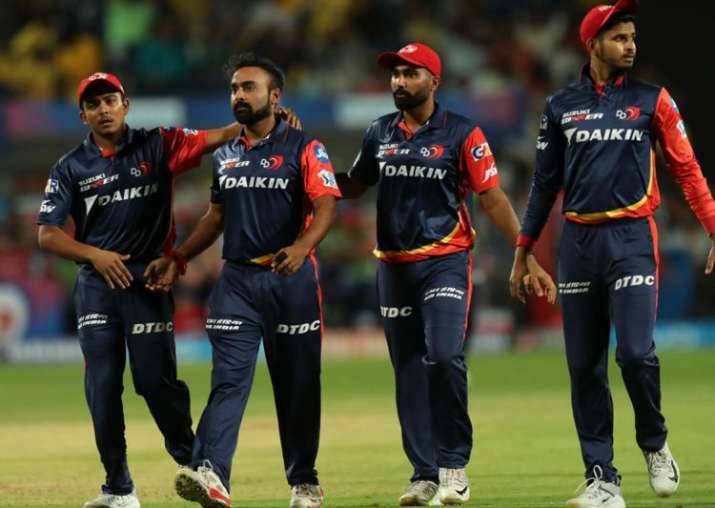 After Gautam Gambhir quit captaincy of Delhi Daredevils, new skipper Shreyas Iyer displayed tremendous grit and led one of the most inconsistent sides to a massive 55-run win over Kolkata Knight Riders to brighten their hopes of a turnaround. The celebration didn't last for long and Delhi lost to Chennai Super Kings by 13 runs in the subsequent match. Iyer-led Delhi will have to treat each IPL game as a virtual knockout, starting with their clash against Rajasthan Royals at the Feroz Shah Kotla, Delhi, on Wednesday. It was an awful mix-up which ended Iyer's innings yesterday and it proved to be the turning point of the match as despite a 45-ball 79 from Rishabh Pant and an unbeaten 31-ball 54 from Vijay Shankar, Delhi fell short by 13 runs against Chennai's 211-4. Iyer and Pant have done the bulk of the scoring for Delhi, amassing 306 and 257 runs respectively so far and the onus would be on the duo to lead the batting unit tomorrow. Among the bowlers, Trent Boult has been among the wickets, claiming 11 scalps so far but he didn't get support from the rest. It has resulted in their failure to defend totals, putting their batting under pressure. Shankar said they are doing most things right but small mistakes have resulted in losses. "We, as a team, are doing well but it is the small things which is changing the entire result of the game," he said. "We were chasing 80 from six overs or something against Chennai, we got close to the target, lost by 13 runs. We tried our best and we would look to move forward from this and look to do better and build ourself into a good team," he said. Rajasthan Royals, on the other hand, are placed fifth in the table with six points from seven matches. Ajinkya Rahane's team has been inconsistent this season as most times a win has been followed by a loss and they will also have to find a way to stem the rot if they have to make it to the play-offs. Their failure to chase down a target of 151-7 against Sunrisers Hyderabad saw Rajasthan Royals lose the match by 11 runs. It was despite Rahane scoring a 65 and Samson hitting a 40 as they didn't get support from other batsman. Rahane and Samson have been their best batsmen this season but inconsistent run of Ben Stokes and Jos Butler has affected their performance this season. Among the bowlers, young seamer Jofra Archer have done well to claim six wickets in the two matches that he has played so far. But RR's spinners Shreyas Gopal and K Gowtham failed to bother the batsmen much, taking five wickets each. Rajasthan Royals: Ajinkya Rahane (captain), Ankit Sharma, Anureet Singh, Jofra Archer, Stuart Binny, Aryaman Birla, Jos Buttler, Dushmantha Chameera, Prashant Chopra, Shreyas Gopal, Krishnappa Gowtham, Heinrich Klaasen, Dhawal Kulkarni, Ben Laughlin, Mahipal Lomror, Sudhesan Midhun, Sanju Samson, Jatin Saxena, D'Arcy Short, Ish Sodhi, Ben Stokes, Rahul Tripathi, Jaydev Unadkat.